neoselket, Izumi, PeanutMusic and 2 others like this. They're supposed to be different types of Plasma guns; Rifle, Shotgun, Launcher, Splitter and Charger. How much did you almost do something that wasn't what you did before? Defeated the Moon Lord a few more times and got the Last Prism 3 times in a row. 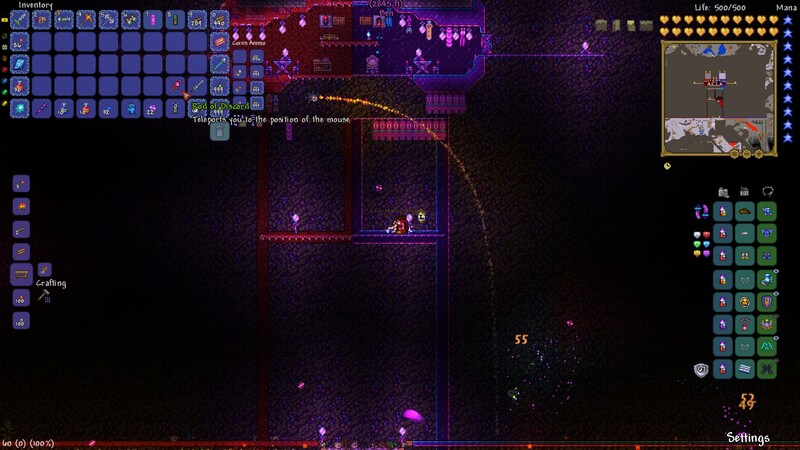 Despite defeating the moon lord before, I still get anxious waiting for him to spawn after the "Impending Doom Approaches" message. Blue_M4ge, PeanutMusic, neoselket and 1 other person like this. TheWorfer27, Izumi and InstaFiz like this. As all things should be. TheWorfer27 and Daikonradish like this. I literally killed over a thousand Chaos Elementals before I got my first ever legit Rod of Discord. I've already gotten 5 Hallowed keys, about 50 of every hallowed drops and 1 1/2 stacks of souls of light, I wish the drop rate was increased. I got one on either my first or second playthrough. I never use the scope that often, not much use for it really expect in the old one's army. With a sniper rifle and Luminite bullets I can just stand in front of the crystal and shoot left and right until the last wave. Duke of Gwynedd likes this. 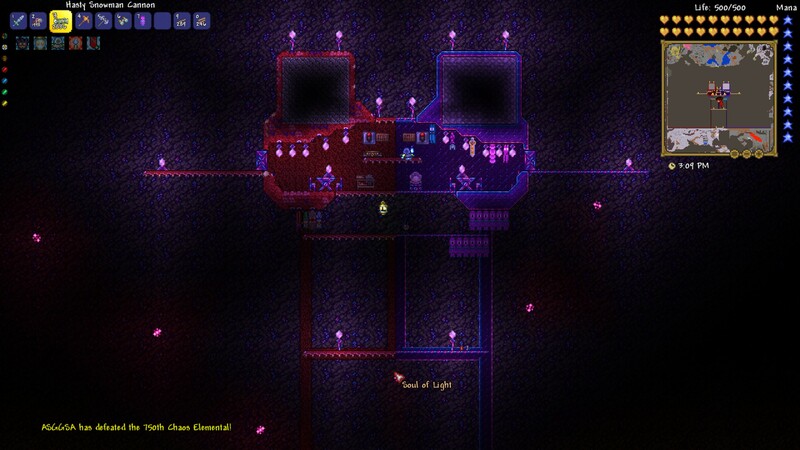 I've been playing Terraria since 1.1 and have over 460 hours on the PC version. I've also played the PS3 version but I prefer PC over consoles.